The Federal Trade Commission (FTC) is responsible for policing business practices across the nation and making sure competition remains fair. When the FTC was created in 1914, its purpose was to prevent unfair methods of competition in commerce as part of early government efforts to break up large trusts and prevent them from dominating industries. Over the years, Congress has passed additional laws giving the FTC greater authority to police anticompetitive practices. Today, the commission administers a wide variety of other consumer protection laws. Some of the recent issues the FTC has dealt with include truthful advertising practices and price fixing. The commission also provides workshops, hearings, and conferences and creates educational programs for both consumers and businesses. Recent controversies involving the high-tech, drug, insurance, telecommunications, and social networking sectors have kept the agency busier than ever. The FTC was created in 1914 to help prevent unfair competitive advantages in the marketplace. This came as a result of lawmakers, as well as President Woodrow Wilson, attempting to “bust the trusts,” or break apart monopolies that discouraged competition from smaller and less powerful businesses. The original legislation creating the agency was called the Federal Trade Commission Act. The Clayton Act, another key legislation from this period (it was signed on October 15, 1914), provided a framework for the new commission. This law sought to prevent anticompetitive business practices and built upon the stipulations of the Sherman Antitrust Act of 1890, including conduct, exemptions, and remedies. In 1938, Congress passed the Wheeler-Lea Amendment, which made it illegal to engage in unfair or deceptive acts in business. Other legislation affecting the work of the FTC includes the Telemarketing Sales Rule, the Pay-Per-Call Rule and the Equal Credit Opportunity Act. In 1975, Congress passed the Magnuson-Moss Act, also known as the Federal Lemon Law, which allowed the FTC to adopt trade regulation rules to define deceptive acts and practices. The House passed the Energy Price Gouging Prevention Act in 2007. This law allows the FTC to investigate and punish businesses that artificially inflate the price of energy, including gasoline. In July 21, 2010, the Dodd-Frank Wall Street Reform and Consumer Protection Act (pdf) was signed into law. Among its provisions was an expansion of FTC power in the areas of rule-making authority and enforcement capabilities, replacing standards that had been set by the Magnuson-Moss Act. It also exempted “consumer financial products or services” from FTC oversight and shifted this responsibility to the new financial regulatory body, the Consumer Financial Protection Bureau (CFPB). In December 2010, the Truth in Fur Labeling Act (pdf) was signed into law, eliminating the FTC’s authority to exempt certain fur products from its regulations, and to seek public comment on the matter. At the same time, the Red Flag Program Clarification Act of 2010 (pdf) became law, amending the Fair Credit Reporting Act (pdf) as it pertains to identity theft (Red Flags) guidelines to creditors. The FTC is an independent agency of the federal government responsible for providing consumer protection and making sure business practices remain fair. The FTC deals with complaints that are filed regarding unfair business practices such as scams, deceptive advertising and monopolistic practices. It reviews these complaints to determine if businesses are in fact engaging in harmful practices. The FTC is also responsible for reviewing business mergers to ensure that they do not hurt competition in the market and potentially harm consumers. Generally speaking, the FTC does not have the ability to directly enforce its rulings, but it can go to the courts to have them enforced. The Bureau of Competition, which is charged with preventing anticompetitive mergers and other practices. It can enforce various competition laws, and it provides guidance to businesses on how to comply with these laws. Major areas of concentration include: energy, prescription drugs and healthcare, food, and high-tech industries. 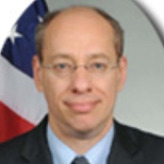 The Bureau of Economics, which assists the FTC in determining the economic impact of its actions. The Division of Advertising Practices enforces truth-in-advertising laws in areas such as food, drugs, dietary supplements, weight loss, marketing directed at children, performance claims for high-tech products and computers, alcohol and tobacco, and children’s privacy. The Division of Consumer and Business Education develops and implements educational plans to encourage competitive practices and inform consumers about their rights. In addition to their presence at national conferences, this division creates Public Service Announcements (PSAs) for radio, print, and the Web. 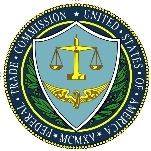 The Division of Enforcement helps the FTC enforceconsumer protection laws and investigate businesses potentially engaging in false or deceptive business practices, including advertising.Recent activities have included scholarship scams, office supply fraud, textile, wood, fur, and care labeling rules and green guides. The Division of Financial Practices develops policy and enforces laws related to financial and lending practices, including the Fair Credit Reporting Act and the Gramm-Leach-Bliley Act. Lately, this division has been involved in the subprime-lending crisis. The Division of Marketing Practices monitors fraudulent marketing prices and is responsible for halting scams such as pyramid schemes. The Division of Planning and Information provides information for consumers to protect them from unfair or deceptive marketing. This division operates the Consumer Response Center, the Identity Theft Data Clearinghouse and the Consumer Sentinel, an online database of fraud-related complaints. The Division of Privacy and Identity Protection oversees information security, including identity theft and credit reporting. It develops educational programs related to these areas and enforces Section 5 of the FTC Act, whichprohibits the use of consumers’ personal information. The work of the FTC is also aided by the Office of General Counsel and seven regional offices. The FTC is headed by five commissioners, each of whom is nominated by the President and confirmed by the Senate. Each serves a seven-year term. One commissioner, chosen by the President, acts as chairman. No more than three commissioners can be from the same political party. The FTC spent $283.2 million on 5,467 transactions during the past decade. According to USASpending.gov, the FTC paid for a variety of services, from automatic data processing equipment to management support and expert witness services in support of its goals. Lockheed Martin, the FTC’s largest contractor, is a global security company engaged in the areas of research, design, development, manufacture, integration and maintenance of advanced technology systems, products, and services. For many years it has been one of the largest defense contractors supplying weaponry and equipment to the Department of Defense. For the FTC, Lockheed Martin provides automatic data processing and telecommunications services. Omnicom Group Inc., the agency’s second largest contractor, is a global advertising and marketing communications company that provides services to about 5,000 clients in more than 100 countries. I have made a complaint with the federal trade commission and was given a number where I can see what progress is being made. How can I get into the system to use the number? I have been told that the FTC is the agency responsible for regulation of and stopping illegal telemarketing and robocalls to anyone NOT wanting to receive them. Well, I get many on both my home phone AND my cell phone...which are both annoying and cost me money. WHY can't they be controlled and laws enacted to be enforced with the consequences of elected officials who fail this being voted out of office? I AM on the do not call list and my provider AT&T is unable to offer me any reasonable way to stop these. I can block a number after it has called but they just come at me from a new number. Reverse Mortgage ads vs Car Ads. Why are car ads scrutinized so intently for misleading content and Reverse Mortage ads get a "free ride"? I know this is not a new issue, but it is an interesting issue. All you have to do is "Google" reverse mortgage to see the pitfalls - very disturbing how it deceives the borrower and with celebrities collecting monies for the ad. You can't that stupid - can you? Who do I talk with concerning HSN (Home Shopping Network) and their deceptive business practices in regards to getting customers to sign up and receive and buy with their HSN Credit Cards. I have a story to tell. On March 4, 2013, President Barack Obama appointed Edith Ramirez to be chairwoman of the Federal Trade Commission (FTC), becoming the first member of an ethnic minority to lead the agency. Ramirez had been a member of the FTC board since being confirmed by the Senate in April, 2010. Because of that, she required no further confirmation to chair the commission. Ramirez was born in San Clemente, California, to parents who were immigrants from Mexico. She attended San Clemente High School, graduating in 1985 as valedictorian. Ramirez, who speaks Spanish, went to Harvard, earning a B.A. in history in 1989. She went on to attend Harvard Law School, where she worked with Obama on the Harvard Law Review. Ramirez earned her law degree in 1992 and then served a clerkship with Judge Alfred Goodwin of the Ninth Circuit Court of Appeals. Ramirez returned to California in 1993 to work as an associate for the firm of Gibson, Dunn & Crutcher in Los Angeles. In 1996, she moved to Quinn Emanuel Urquhart & Sullivan, one of the largest litigation firms in the United States. She was made a partner in the firm and she worked on anti-trust law among other issues. Her clients included Disney, Mattel and Northrup Grumman. Besides corporate clients, Ramirez worked with the Los Angeles Center for Law and Justice, a legal aid corporation focusing on Los Angeles’ Hispanic community and was a director of Volunteers of America. In 2005, Ramirez was appointed to the Los Angeles Department of Water and Power Board of Commissioners, becoming commission vice president a year later. She served on the board until 2010. Ramirez directed Obama’s California Latino outreach efforts in California during his 2008 campaign. Since joining the FTC, Ramirez has focused on children’s privacy issues and other electronic privacy issues. Under her direction, the commission has obtained a settlement from Warner Music Group for collecting children’s personal information on their fan sites for Justin Bieber and other pop stars. She also led the collection of a $32.5 million settlement from Apple, which allowed unauthorized purchases from its app store. “As mobile technology proliferates and connected devices become more commonplace, one of my priorities has been to address the privacy and consumer protection issues associated with these technologies at an early stage,” Ramirez said in an interview with AdWeek. Ramirez is also an advocate of “Do-Not-Track” technology, which would allow consumers to opt out of having their personal information gathered while surfing the Web. Similarly, she has urged more transparency from data brokers, which mine internet users’ personal information and sell it.